While some people might look at this and see sports bra, I see an everyday bra. 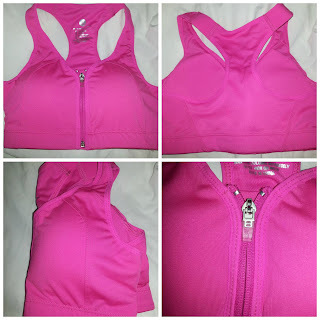 The Valdler Women's Level 4 High Impact Front Zipped Cross Back Sport Bra is light weight, breathable and most of all comfortable. It is available in the colors black or rosy, it is also one size fits most(Bust:34.6 inch-35.6 inch). I placed my order on amazon with no issue at all, I am a prime member so I had 2 day shipping. It arrived quickly and was very well packaged, it was even in it's own clear plastic reusable bag. I opted in for the rosy, I would myself describe it as more of a hot pink. The cups have padding that can be removed via the slits on the side arm area. The padding is not flimsy and holds it's shape with no problems. The zipper is easy to use and has a smooth motion. The zippered front closure also makes for easy removal and putting on. There is also a backing over the zipper so it does not come in contact with your skin so no issue with rubbing. 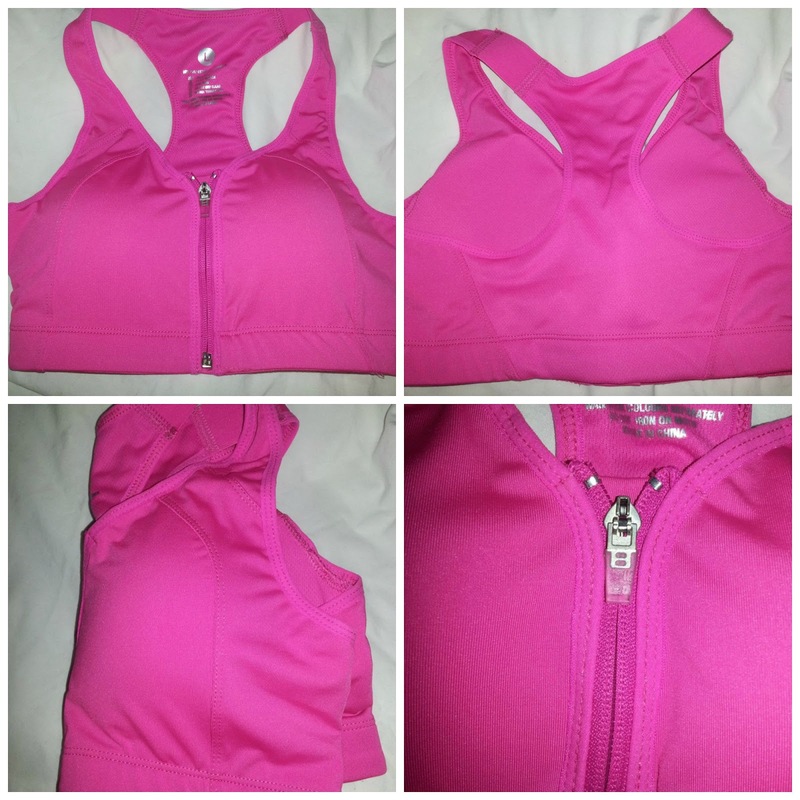 The Valdler Women's Level 4 High Impact Front Zipped Cross Back Sport Bra is made to last and well put together. The stitching is tight and the support band is wide enough that it does not dig or roll. It gives great support and moves well with my body. This is a superb bra for the price and well worth it. No matter which sport you prefer, the snug fit and special back of this sports bra ensure it provides the support you need .Ideal for everyday active lifestyle. The bra is made from breathable fabric to keep you cool, dry and self-confident during your work-out. Feature: A front zip reveals structured cups that clip together for easy on, easy off and no bounce. Material: 82% Polyester 18%spandex.Highly elastic polyamide fabric - high flexibility and elasticity without shirring. Application: Super-smooth fabric delivers the ultimate chafe-free comfort built for High-Impact support, so you can concentrate on your moves and not on what's moving.Free replacement offered and No return required for Defective.